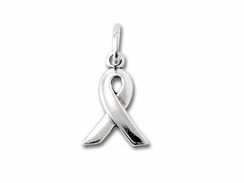 This elegant tiny charm is an excellent way to show your support for your cause. It can be attached to your cell phone, a bracelet, a necklace...just about anything. Makes great gifts.